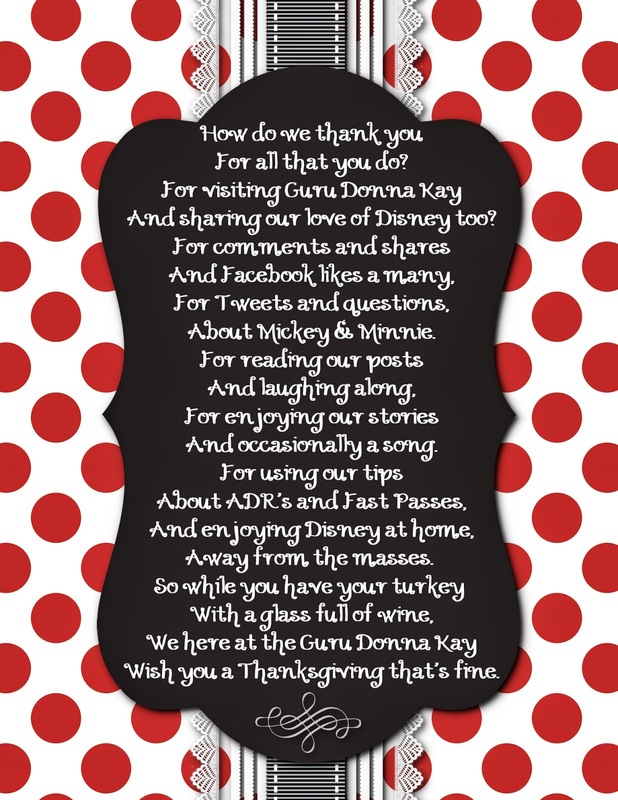 Disney Donna Kay: Happy Thanksgiving from Guru Donna Kay!! Happy Thanksgiving from Guru Donna Kay!! I hope you all have a Magical Thanksgiving!! Thanks Beth!! I hope you and your family have a fabulous Thanksgiving!! War Eagle! !